The stage is set this weekend for a fantastic Newbury Carnival 2017, which is this Sunday July 16th. The Carnival Fete is from 12-6pm and The Carnival Parade is from 2pm. There are nearly fifty fabulous parade entries set to wow the crowds with their colourful costumes, exciting ideas and music and they start at Pound Street, winding through Bartholomew Street, Northbrook Street to the Clock Tower and finishing at the Carnival Fete in Victoria Park. Our carnival theme is Myths and Legends so expect to see legendary monsters, Robin Hood, Aladdin, many pop and music characters, Anansi the Spider, Alice in Wonderland on Stilts, Beauty and the Beast and …do look out for the very special John Ever Afraid -The Berkshire Giant. Enjoy also the spectacular dancing and costumes from Rampage Mas Band in the Carnival Parade as well as the exciting local dance and theatrical groups who have some great entries such as ‘Do the Robot’ or ‘Thoroughly Modern Millie’. Prize Giving will be at 4pm in Victoria Park and nine lucky Parade Entry winners will each receive £100 each for their group, charity, school or business. The prize money was kindly donated by Kennet Shopping, Newbury. Don’t forget the fabulous Carnival Fete that runs from 12 until 6pm in Victoria Park. It has children’s rides and activities for all ages, a wide range of food and drink, arts, craft and gift stores with demos and workshops and many stalls from our important local charities and groups. You can also see horses, classic cars, fire engines, the Harleys or even book your dog in for the Dog Show. There are also many activities to take part in such as a range of sports, try an instrument, join in with ‘Dance in the Park with Newbury Ceroc’ or ‘Sing Disney Songs with Jollypop Entertainment’ that are that are completely free of charge. The Carnival fun starts at 12 mid-day, when the Carnival Fete opens in Victoria Park. The Carnival Parade starts at 2pm. 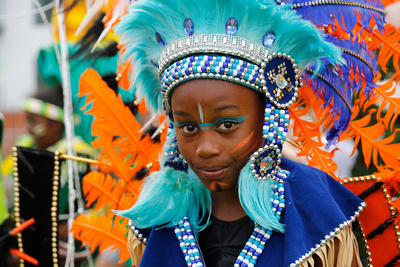 Remember it is free to enjoy the Carnival Parade and free to visit the Carnival Fete. Newbury Carnival is a biennial event. The next carnival will be on Sunday 14th July 2019. It is now possible to donate online. Individuals and businesses can donate to us via the good exchange.